Got a note from my friend Mike Semel. They're putting on a great 6-hour workshop for Business Associates. Starts Thursday! Check it out. If you have medical clients, or clients who have medical clients, you must comply with HIPAA. Beyond signing Business Associate Agreements, you must implement policies and procedures, train your staff, and deliver HIPAA-compliant services. This proven workshop will give you the knowledge and materials you need. Taught by Mike Semel, a former hospital CIO, HIPAA courseware author, and certified HIPAA expert, this workshop is the fastest way for you to learn about HIPAA and get the tools you need to comply. Recorded in case you miss one, want to review, or share with your team. "I think the session was perfect." "This course was a great investment." "The best money I've spent on education." "You know your stuff and how to teach it, too." After a great deal of preparation, we are pleased to announce the launch of a wonderful program for SMB IT Professionals. Promotion Monkey provides a simple program to help you keep your company's name in front of your clients and prospects. One of the greatest weaknesses for small companies is marketing and promotion. Even if they know what to do, they don't have time to do it. I love Robin Robins and have received her materials for more than ten years. But I have to admit that I don't always do all the things I know I should be doing. Our goal with Promotion Monkey is to help you 1) Commit to regular promotional activities, and 2) Make is easy for you to step up to the next level of professionalism with your company brand. Promotional products are items branded with your company’s name, logo, or message. Some you see all the time, like pens and notepads. Some you never think about, like coasters or t-shirts. Look around your home and office and you'll see lots of examples. Problem #1: Most money spent on promotional products is literally thrown away. You know this is true. Just look around your office. How many “great” give-away gifts do you keep, display, or use? One? Two? None? Most promotional products that people KEEP end up in one of two places: Their Kitchen or Their Office. And here’s the really good news: Where do most small business decisions get made? The home kitchen, or the office. A bad give-away gets thrown away. A good one will be around forever. Problem #2: Getting started can be a confusing mess. And therefore . . . most people never get started. Anyone can go on the internet, search for a product, and find 10,000 items to buy. And you can guess which is the best deal, and which is the best company to work with. And you can fiddle with your logo, find out about production schedules, and go through all the details. You'll talk to people who don't have time to answer your questions about printing options, dealing with low-res images, etc. Lots of people do it all the time. So can you. But you’re busy. And you end up NOT doing all that work to get a great promotional item because there’s a steep learning curve. And you don’t know if you’re working with a company you can trust. Please let us take the hassles away. We’ll vet the products. We’ll order them with your logo and tagline. If there’s a problem, we’ll take care of it. If it’s the wrong color, wrong size, or your logo’s printed backwards, that’s our problem. We’ll handle it. We started out with a simple premise: We want to help you find good, usable products at a reasonable price with no hassles. There are two major components to that. First, we've create "bundles" so that you can get started without doing massive amounts of research. We have two kinds of bundles. Quarterly bundles change every three months. You buy in at a specific price point (e.g., $500) and you will receive a different selection of products with each shipment. Unless you change your logo or tagline, we've got what we need to automate the process. Event Bundles will focus on specific marketing activities you might engage in. For example, I'm writing a white paper on how to plan and execute a successful educational seminar for your clients (such as a lunch-and-learn event). I'll be giving away the white paper and we'll have pre-packaged bundles of branded merchandise to support your seminar. This is great for you because WE'LL do the work to find products that make sense in small quantities. After all, you don't need 100 coffee mugs for a 15-person seminar. We're also developing bundles for golf tournaments, client appreciation, and more. The second thing we're doing is taking on the hassles and details. We'll take your logo and tagline, and WE'LL order the best products and manage all the details of production and delivery. We deal with manufacturers. If something goes wrong, we argue with the printers or shippers or whoever. Most small businesses don't have a budget for marketing - but you should! It doesn't have to be large, but you need to do something. One of the great weaknesses in marketing is the tendency to stop and start, and to be inconsistent. We want to provide you with a regular stream of marketing materials that’s just the right size for your business – at an affordable price. Our bundles are priced at $300 per quarter and above. That's less than one hour of labor per month for a technology consultant! We think that's a very easy way to get started with regular marketing. That means you do something every month, every quarter, all year long. Remember: Most people don’t need your services most of the time. How will you make sure they think of you on the day their other I.T. Consultant disappears? With promotional products! To demonstrate the quality of the branded items we're looking at, I want to send you a a great free gift. It’s NOT a cheesy, crappy gift you’ll throw away. It’s a nice gift that you might pay $20 for—plus shipping. But we don’t even charge for shipping. Just go to www.PromotionMonkey.com and look for the “special offer” on the right side of the page. In addition, we have a great introductory offer. For the first one hundred people to sign up, we are offering a 10% discount on the published prices PLUS 100 pens imprinted with your company's name and tagline. To get that discount, you need to enter the code Promo2015 at checkout. Even if you are already signed up for a program from Robin Robins or another marketing coach, Promotion Monkey can be a great place to buy your branded products. Take you lumpy mail to the next level! My good friends over at Third Tier are putting on a special webinar tonight - just in time for tax season! Amy, Susan and a special guest each month will present a webinar on a current topic. These will mostly be technical and security topics with the occasional business topic. Amy Babinchak is the owner of Third Tier and Harbor Computer Services (an MSP). She is also a Microsoft MVP in Small and Medium Business Server. Susan Bradley is a Microsoft Enterprise Security MVP and forensic accountant. Both Amy and Susan have a passion for excellence in small business IT. These webinars will be chatty with each bringing their experience and technical expertise to the table. Amy and Susan welcome Rayanne Buchianico to join them in the timely discussion of taxes and tax audits. Sounds boring? It won't be. This group has experience in IT firms, defending corporations during IRS audit, being audited and being raised by an IRS auditor. This is a unique group representing every angle of the topic. 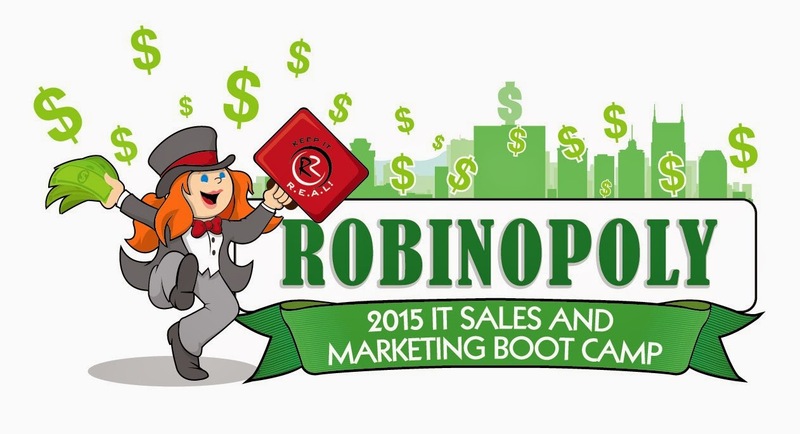 Robin Robins' 8th Annual IT Sales & Marketing Boot Camp will have Over 900 MSPs !!! 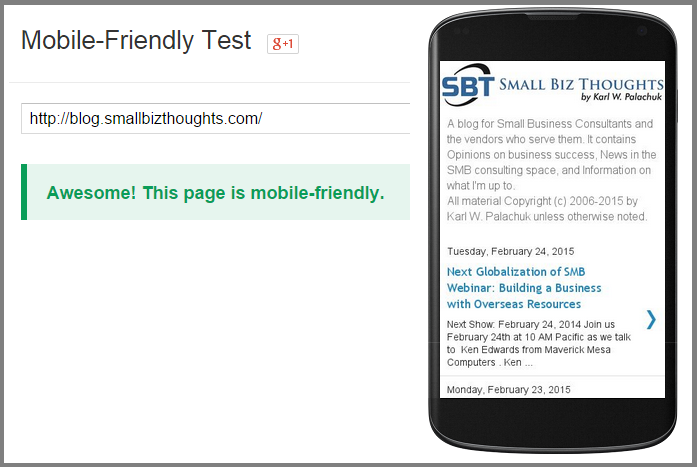 Received a press release from Robin Robins and Technology Marketing Toolkit today. Looks like I'll be headed to Nashville next month. The event is sold out, but you can still attend over the Internet. If nothing else, you'll want to see who wins a brand new Mercedes Benz. I love all of Robin's stuff - and I've been in many of her programs. I still receive her monthly mailings and recommend that you check it out. Franklin, TN—Robin Robins, founder and owner of Technology Marketing Toolkit, hits the stage again with her 8th Annual IT Sales & Marketing Boot Camp, kicking off April 22nd-25th from downtown Nashville. This event is the IT industry’s biggest marketing and IT sales event focused exclusively on revenue-generating and business-building marketing and sales strategies for MSPs, cloud integrators and IT services businesses. Robin will teach a variety of sessions, including elevating your business from mediocrity to extraordinary, as well as advanced lead generation strategies. She’ll also share this year’s stage with world-renowned speakers and entrepreneurs, including “Mr. Wonderful” Kevin O’Leary from ABC’s Shark Tank, speaking on how truly wealthy entrepreneurs secure big gains with their money, business and investments, before a meet-and-greet and photos with attendees. Attendees will enjoy another annual highlight at Robin’s Boot Camp: watching her clients compete in her “Better Your Best” competition, in which seven of her top clients present their annual successes and marketing campaigns, all while competing to earn Robin’s “Spokesperson Of The Year” title and a brand-new Mercedes-Benz. In-person seats are now sold-out for this event, but virtual streaming seats are still available. For more information, visit www.robinsbigseminar.com, or call the office at 615-790-5011. 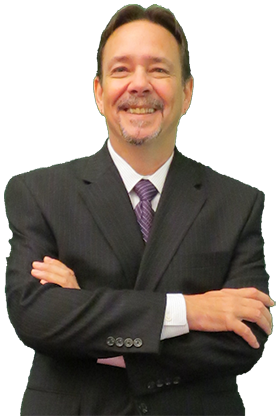 There is no doubt about it: Robin Robins has helped more MSPs and IT services businesses to double – even triple – sales, profits and MRR growth than any other marketing consultant in the IT services industry, period. 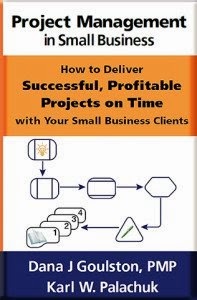 As a trusted advisor to over 7,000 IT services business owners for over 12 years, Robin knows a thing or two about what it takes to grow sales, recurring revenue streams and a profitable client base for an IT services business. For additional free resources, videos and articles on marketing your IT services business, plus to request a FREE, customized marketing consultation, go to www.technologymarketingtoolkit.com. 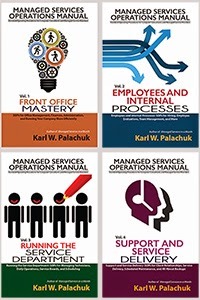 Coach Manuel Palachuk focuses on the direct connection between your service delivery system, the value you give your clients, and your profit, and how to maximize each. He also gives an overview of Agile Service Delivery, an emerging method you must learn to stay competitive. If you already have a PSA - Autotask, ConnectWise, Tiger Paw, etc. - or are looking to get one, you will love this class. It's focused and practical. You don’t have to be an MSP or even use a PSA to work efficiently and be profitable, but you do need a system and a method. These ten golden rules can be the seed for your own system if you have none, or you can adopt them in whole to enrich your existing methods. Either way, this is your opportunity to take your service delivery and your profits to the next level. Includes five weeks of webinar/teleclasses with related handouts, assignments, and "office hours" with the instructor. MAXfocus (formerly GFI Max) is a great supporter of our community. Yes, they're a vendor. But it's the vendors who make lots of great programs possible. When you consider the cost to rent meeting rooms, provide meals, and all of the logistics it takes to put on a conference, it's staggering. Most of the events in our space would not be possible without vendors. And they would ALL be a lot more expensive. That's a guarantee. Most events that have lunch plus a reception would be an additional $250/person just to cover food and drinks. So please support the vendors. You don't have to spend half an hour with each, but at least drop by their table, throw a card in the fish bowl, and maybe say thanks. Here are some (but not all) of the events where you can catch up with MAXfocus between now and the end of the year. If you're not attending any events, find a local one on here and sign up. Find out more about MAXfocus here.
. . . And if you are looking for an even bigger calendar of events in the SMB community, check out my weekly newsletter here. Note: This is not a paid advertisement. I am not being compensated for this. Blah blah blah. Vendors: If you would like me to publish the calendar of events you sponsor, please send me an email. I would love to do it.